I returned home after a lengthy trip to Texas to find spring had sprung: the daffodils were spent and the ferns unfurling. Nestled amongst said ferns on the shady side of the porch were dandelions, just emerged, with slender leaves and nary a flower in sight. Which of course meant they are at their peak for eating. Tonight’s dinner involved a return to cooking with a risotto. 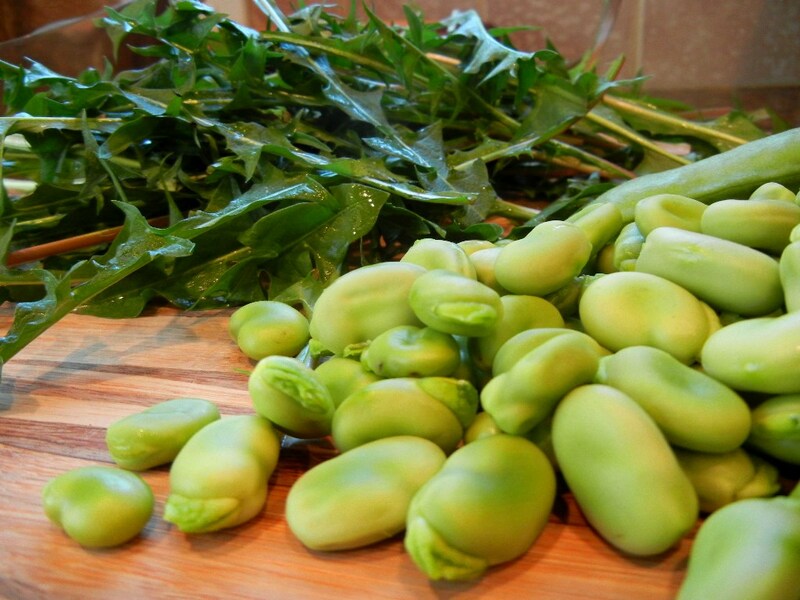 Included were the fruits of my garden weeding – young dandelion leaves – and broad beans, another early spring arrival. 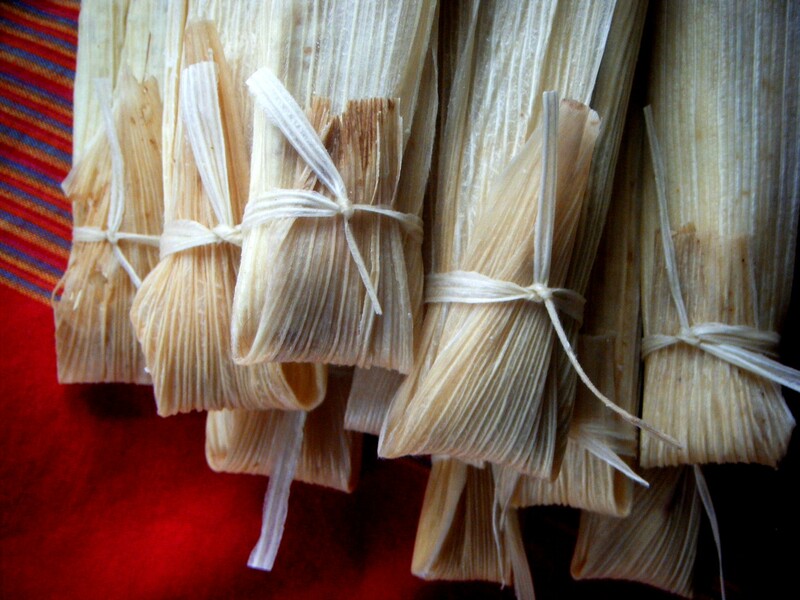 In San Antonio, tamales are an important tradition around major holidays leading to long lines at some of San Antonio’s favorite spots like Delicious Tamales and Ruben’s. I had always considered them something that might be too much work on my part, but as it turns out, they’re really not as much as I thought they’d be. Especially if you happen to have a few pinto beans leftover from a recent meal. Last weekend’s trip to my favorite Mexican grocery store yielded dried corn husk wrappers and set me off on the wild idea to make a few for myself. So this afternoon during Cherub’s “quiet time,” i.e., the thing you do when a preschooler no longer naps, I made tamales with refritos. And because I used a recipe for the masa from Rick Bayless, which used a stand mixer (read: five minutes of work) and the beans were essentially already made, the tamales came together pretty quickly. And while I’m not suggesting you make these on your own (have a sister or a friend around to gossip with while you do it on a Saturday afternoon), they are not the daunting delicacy that you might have presumed.